This movie was the best of its kind. It was an action adventure movie, which was liked by kids, teens, elders, and older than elders too. 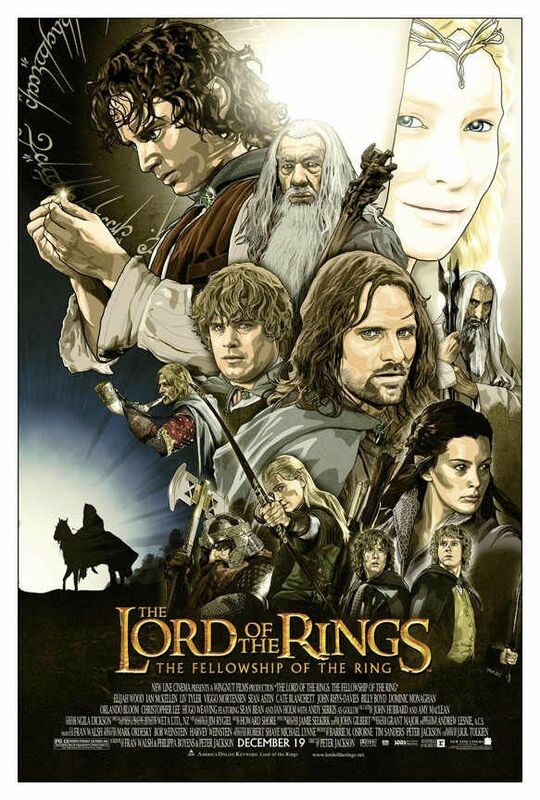 This post of “The Lord Of The Rings Poster Collection” contains all the three parts of the movie series. 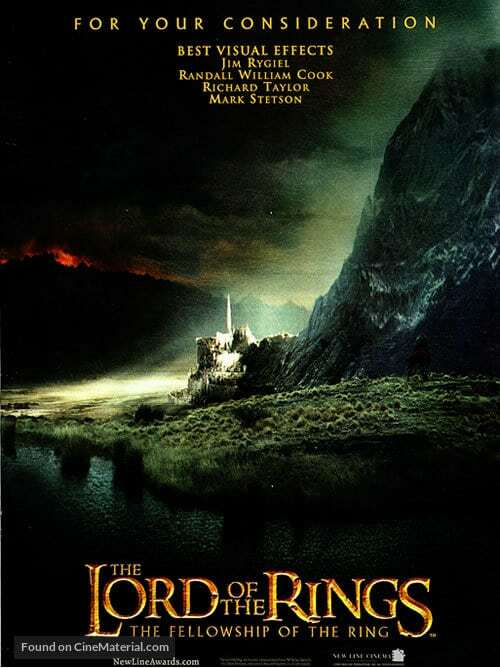 The series was a big project for its Director Peter Jackson and they were preparing it for a very long time. 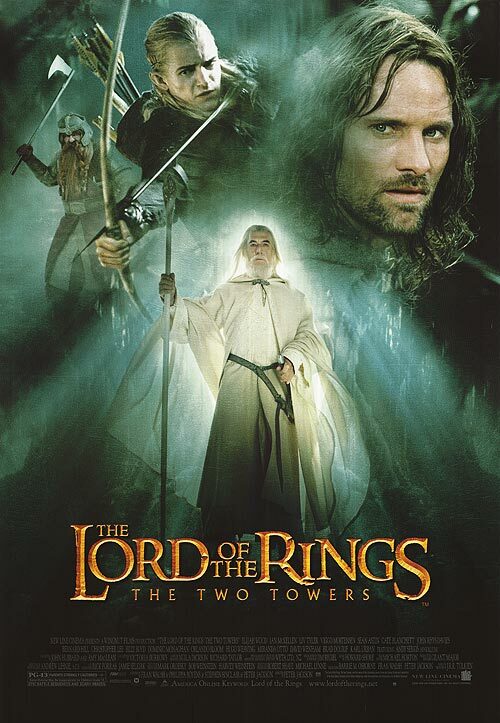 The movies were released simultaneously in 2001, 2002 and 2003. 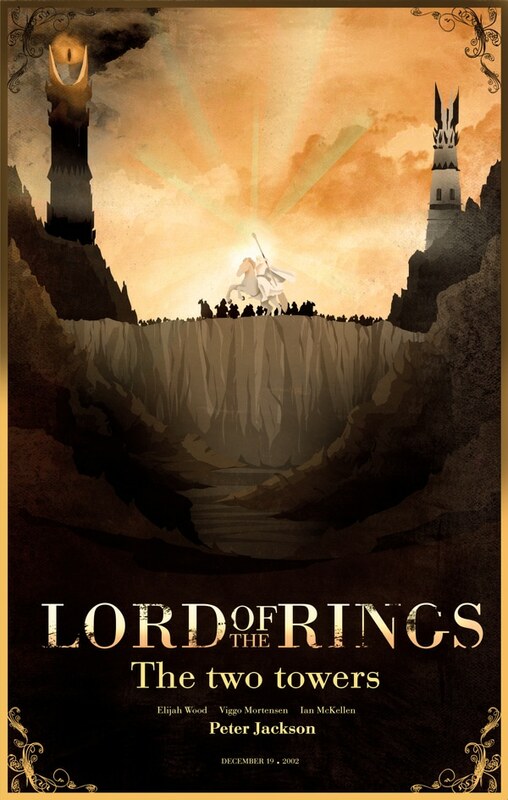 Now let’s head to The Lord Of The Rings Poster Collection. The movie was released on 19 December 2001 and it was no surprise that the movie was a super hit at box office. Moreover, people were now eagerly waiting for the next part to be released. The movie made more than $300 million in its first year and more than $800 million till now. However, It was the second most grossing movie of the year, following Harry Potter 1. 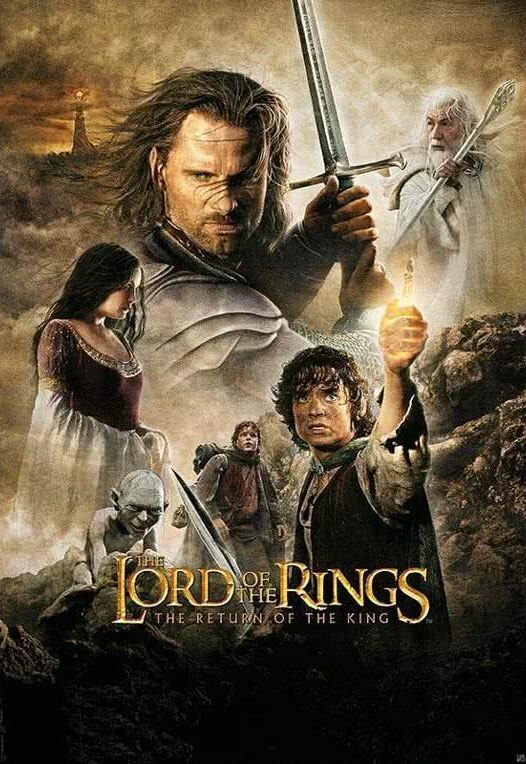 The film was in production for eight long years because they were shooting all the three parts so that they can release them simultaneously. 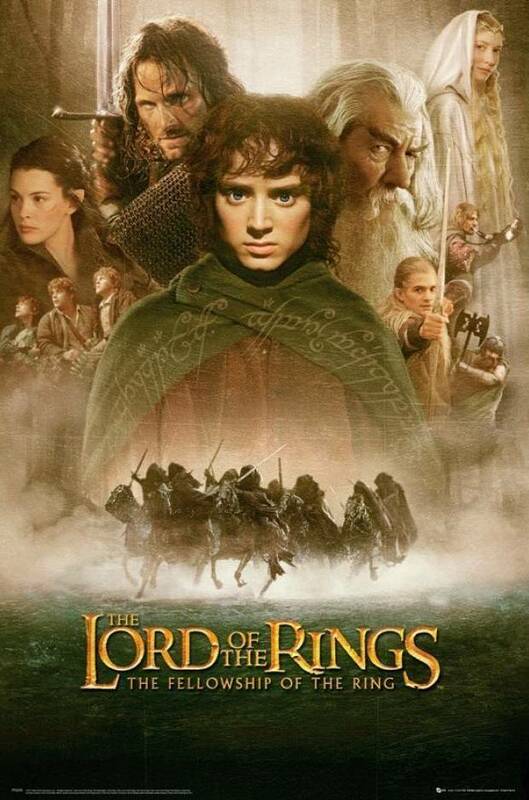 The movie features so many awesome action scenes and lots of adventure. It was not easy to make this movie series. It was a hard job to create an illusion for heights of all the characters, but they nailed it. Even though, it was the time when special effects techniques were still developing. The makeup artists were also a big part of the movie. They did a great job in making over the characters, say it Hobbits, or ghosts. Ever had that feeling, when you are watching a movie, and you scream in your mind that “No, No, No, don’t do it! It’s a trap” or anything like that. It happens when we are so lost in the movie. This movie is made that way, you cannot resist yourself being involved in the movie. 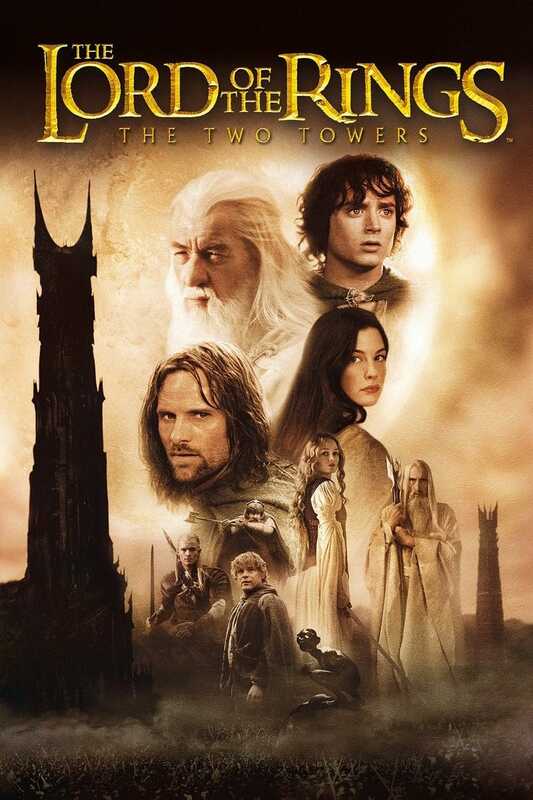 The movie series is based on a novel with the same title written by J.R.R Tolkien. 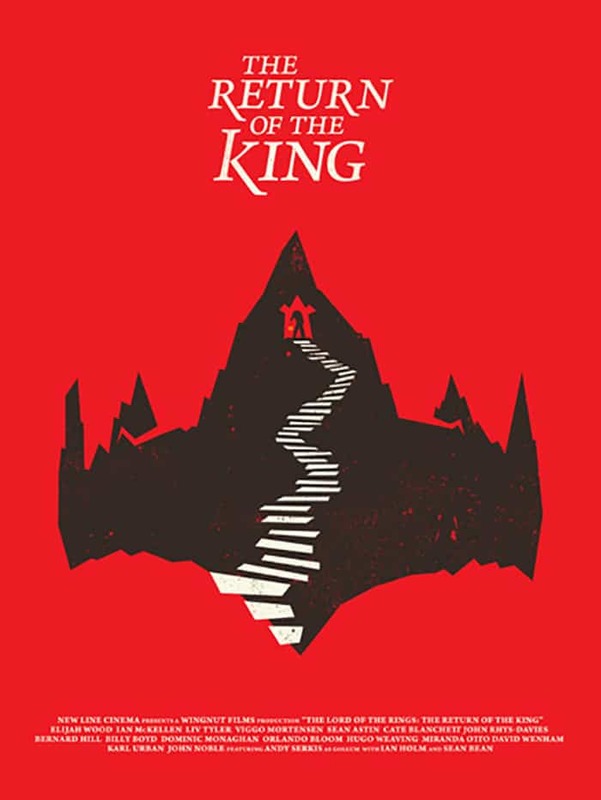 It was written in 1937 as “The Hobbit” but later turned into a much bigger project by turning into “Lord Of The Rings”. 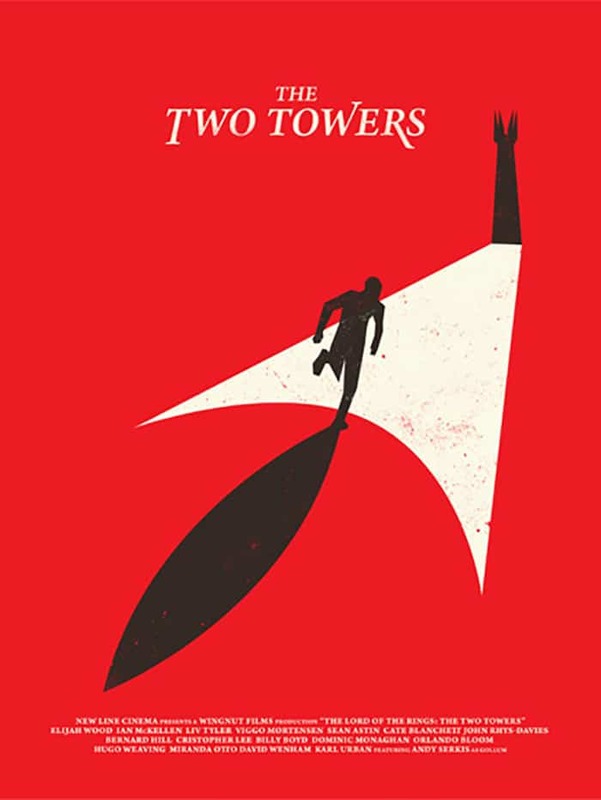 Moreover, it was a big success for the writer, selling more than 150 million copies of the book. 9. Whats In My Ring? 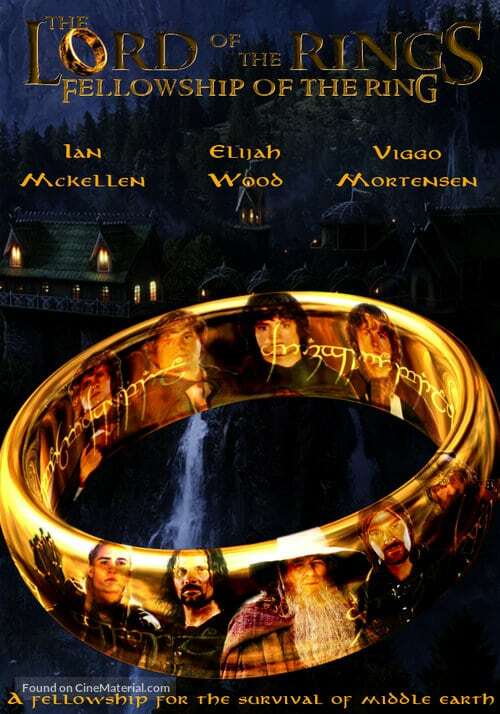 I loved this movie, but still, there is nothing much this famous ring can do. It just makes a person invisible and that’s all. But it makes the holder “Ring Addict”. I think they should have gone to Addiction Treatment camps instead of fighting wars for this ring. But, really, there is a long story behind this ring, we will get to it later in the post. 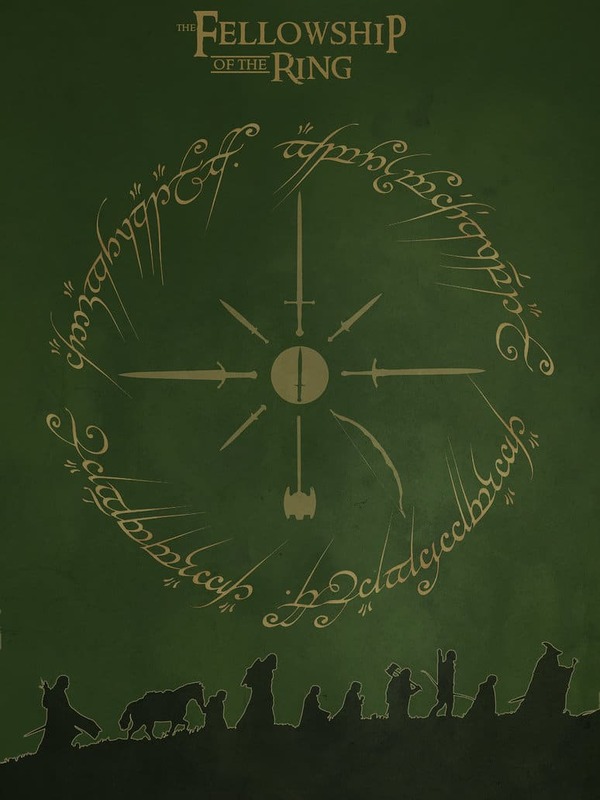 The Fellowship was known as “the Company of the Ring”, the “Nine Walkers”, or more simply “the Company”. 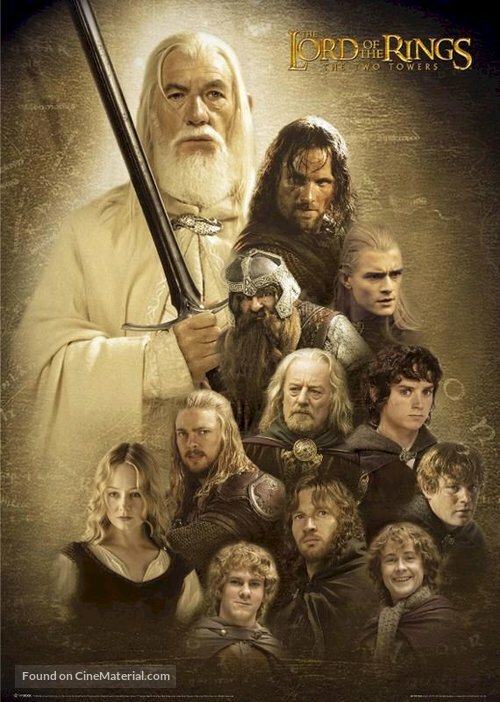 Each of the members of the Company was representatives of their respective races, with Legolas and Gimli being the only Elf and Dwarf chosen. 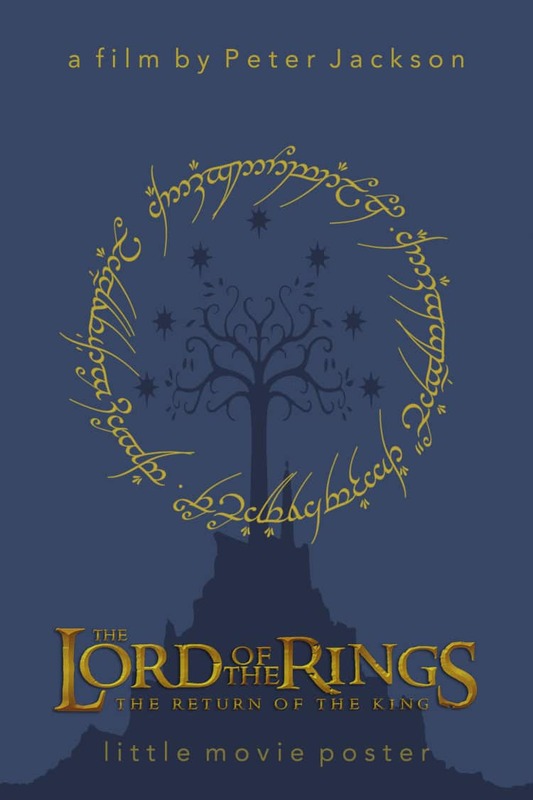 The Middle Earth is the fictional place or the world in which all these adventures took place. The real place, the shooting set was in New Zealand. 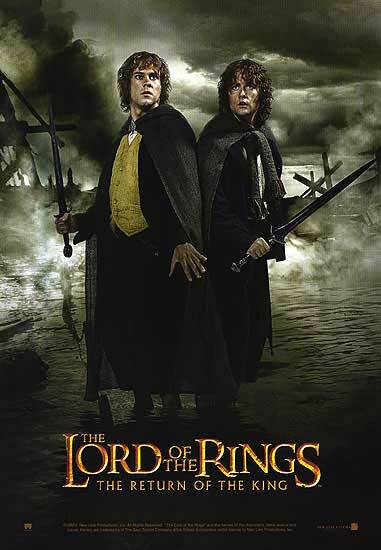 It was chosen because it is the birthplace of the director, Peter Jackson. 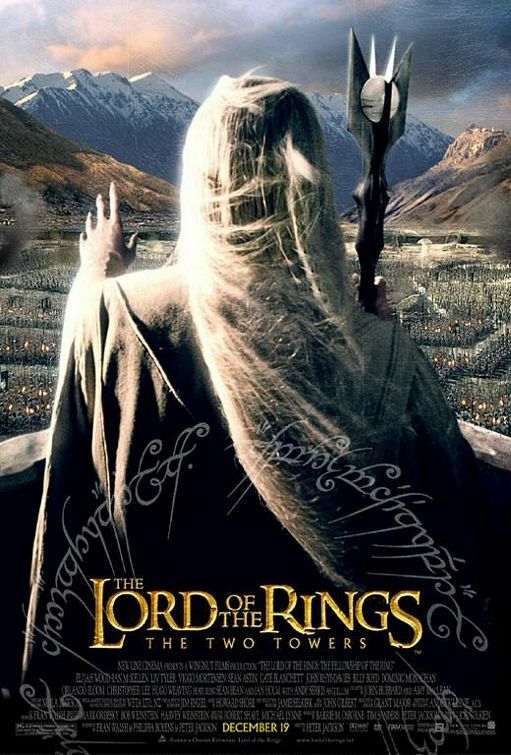 It is a well-known fact that the movie consists of many characters and most of the New Zealand residents. 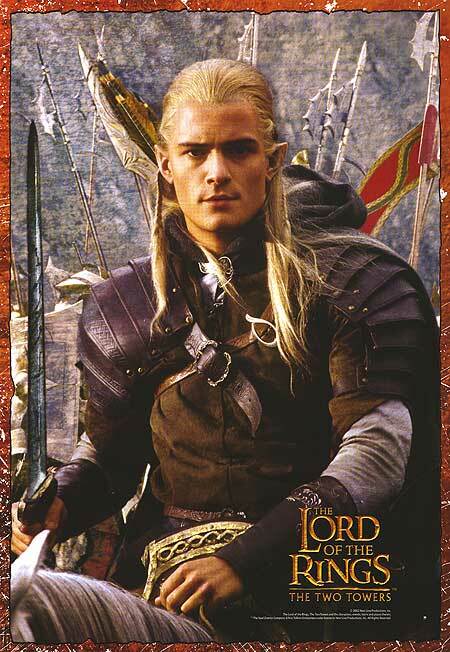 In fact, every 1 in 160 New Zealander was a part of the movie series. Like most of the Hollywood movie, this too has many scenes filmed in darkness. I don’t know why they do this, maybe to hide any mistake, comment below if you know the reason. Gollum was once a hobbit (but of another species). He was in pursuit of the ring. 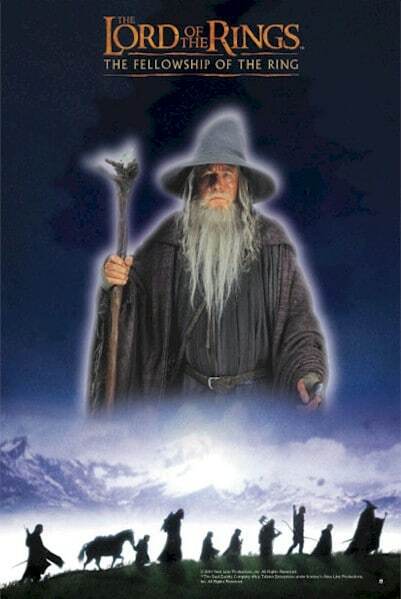 He was 589 years old when he died, he lived this long because of the effects of possessing the ring. 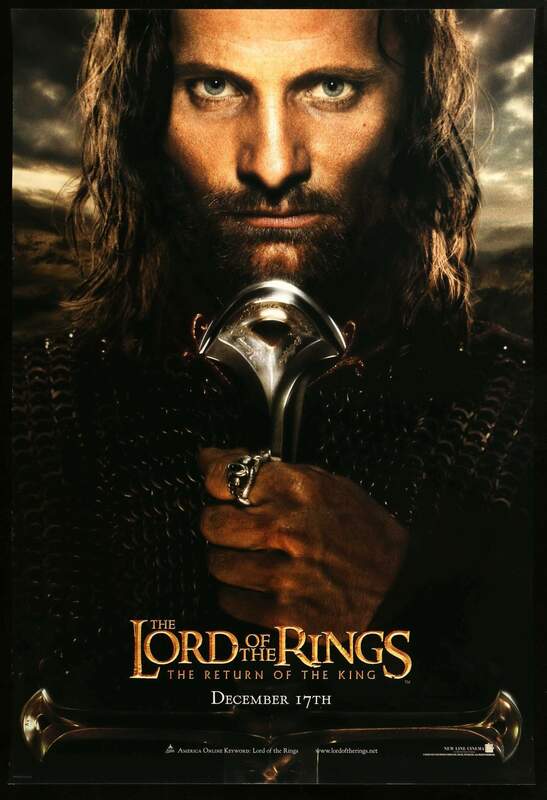 Although he was an actual hobbit but deformed and twisted in both body and mind by the corruption of the Ring. 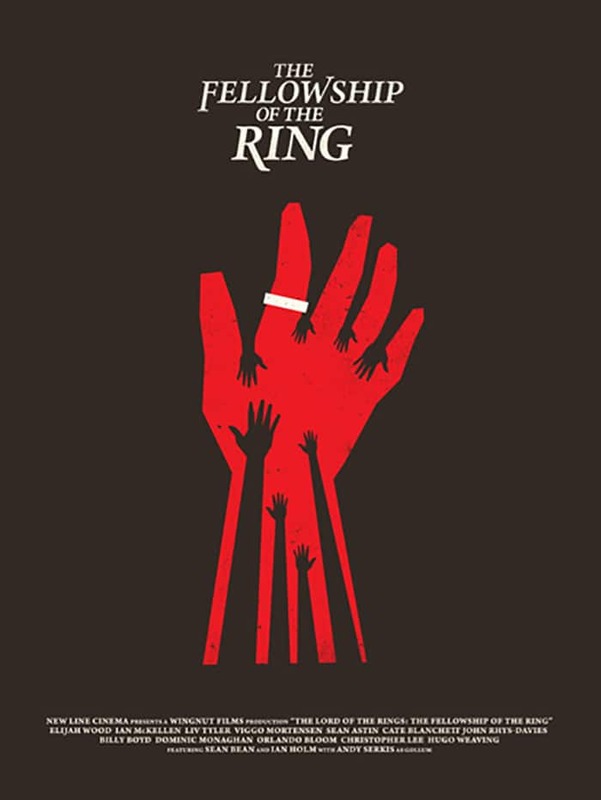 The movie shows that a ring can destroy a Man’s life (Marriage ring is even more dangerous than this one!). Three parts made on just one ring, that’s ironic! This part was released on 18 December 2002. Exactly 364 days after the release of the first part. So technically, they gave us 2 movies in just 1 year. The movie made more than $900 million on a budget of $94 million. Hell! So much of money, just to show a ring? 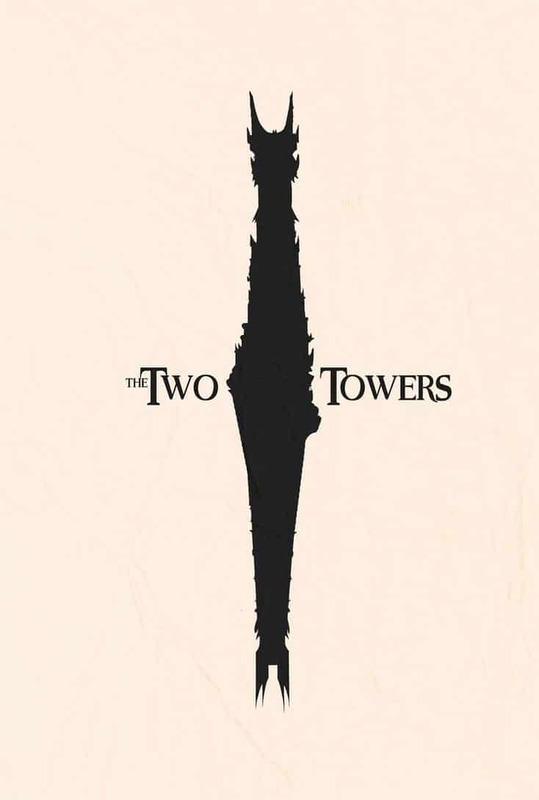 According to IMDB, the best part of the series was the third one, “The Return Of The King”, followed by first, “The Fellowship Of The Ring”, and then comes the second part, “The Two Towers”. 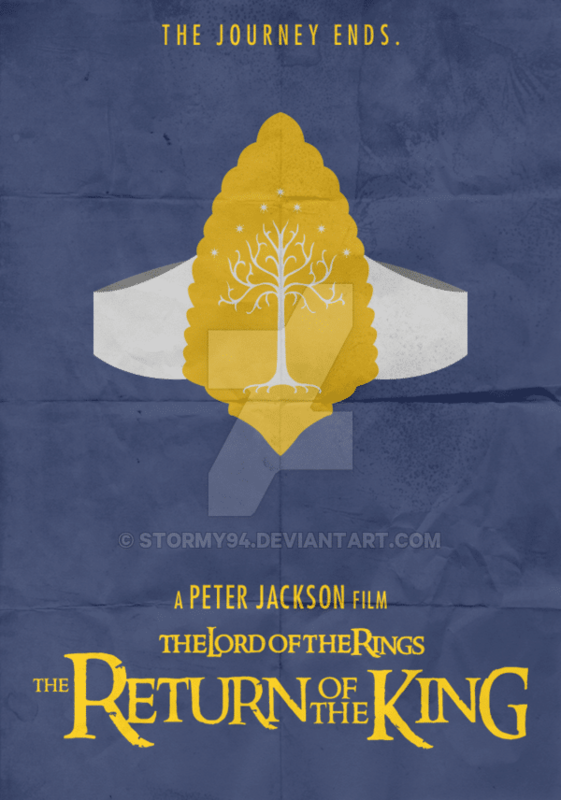 But hey, we are talking about LOTR here, so all the parts are going to be awesome! 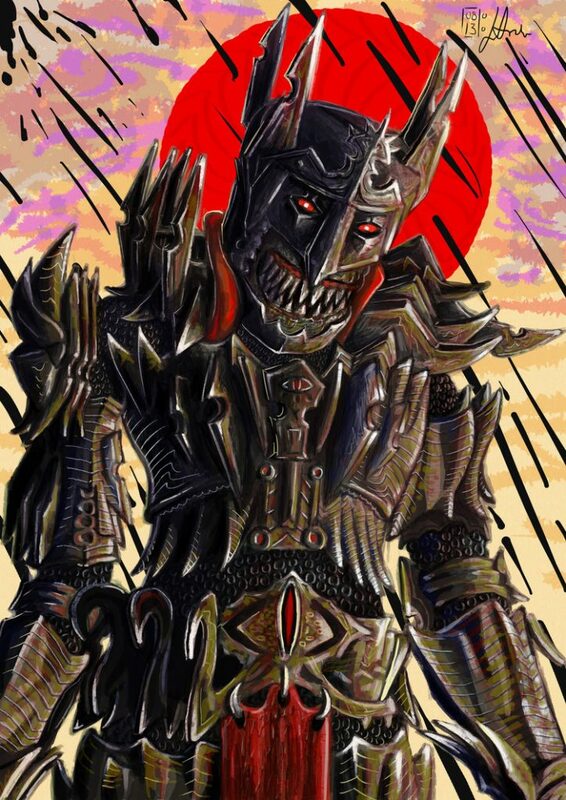 Sauron is the main villain of the movie. 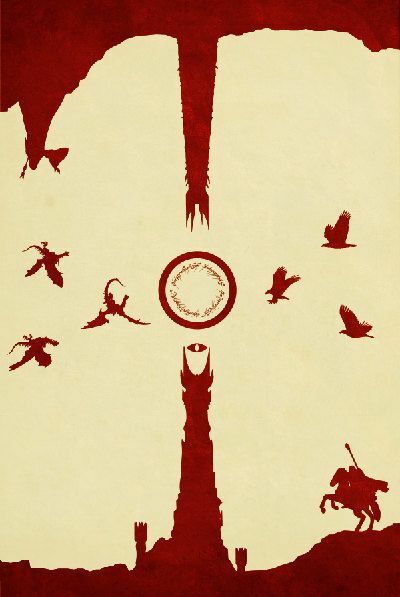 The Eye of Sauron was a symbol adopted by the Dark Lord during the Second Age and the Third Age. 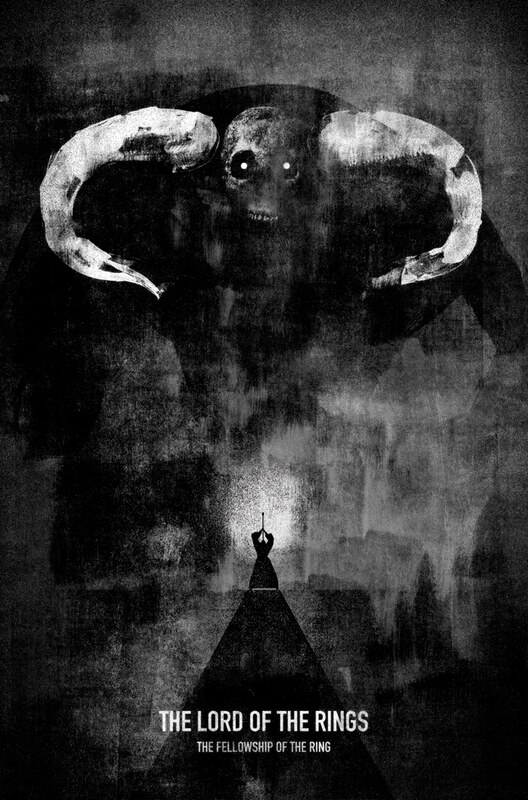 It was said that few could endure the Eye’s terrible gaze. 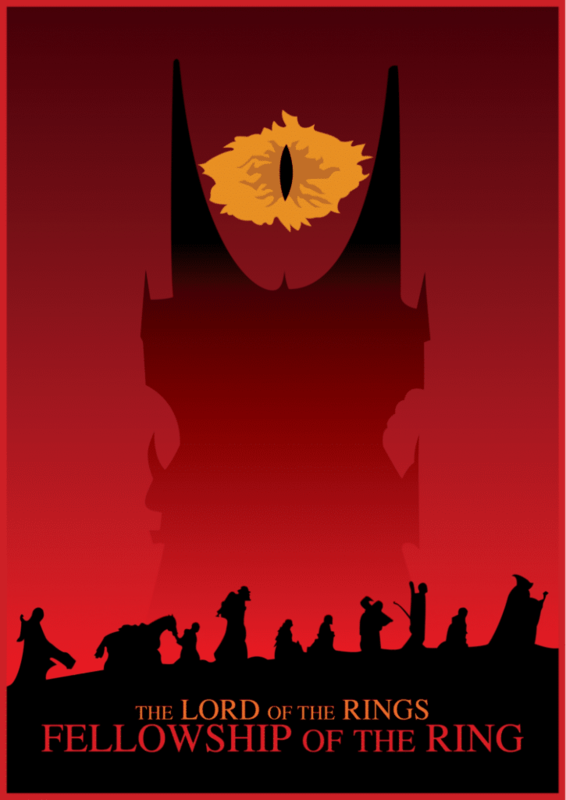 The Eye was used on armor and banners of Mordor as a symbol of Sauron’s quasi-omnipotence and was adopted as something of an insignia by Sauron’s forces in general. 5. 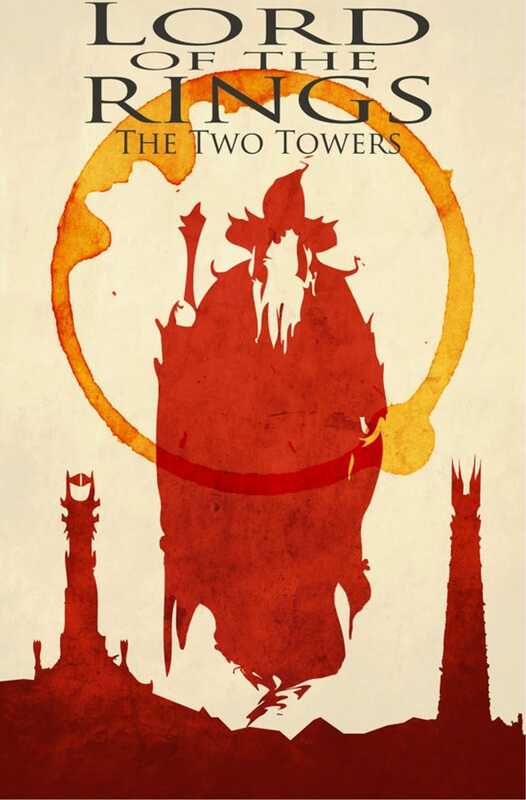 Three Troops, Two Towers, One Ending! 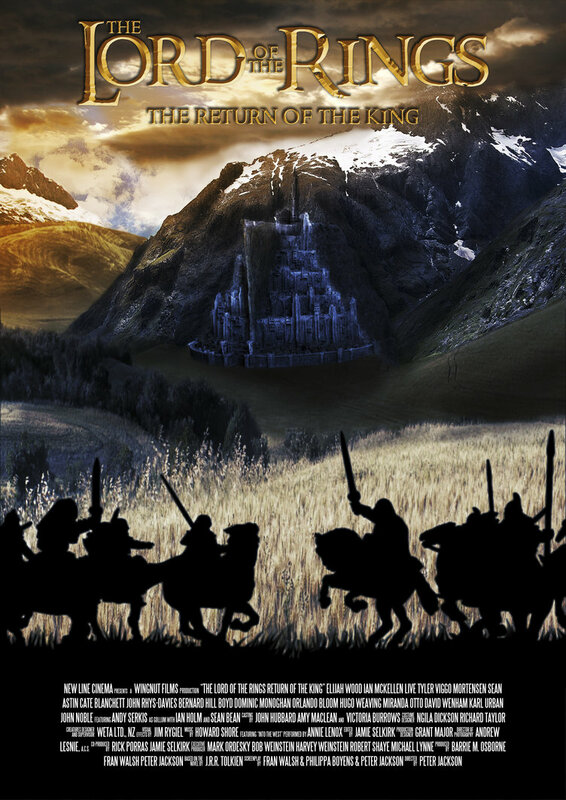 The movie focuses on all the main characters journey and adventure, as they all are in troops now. 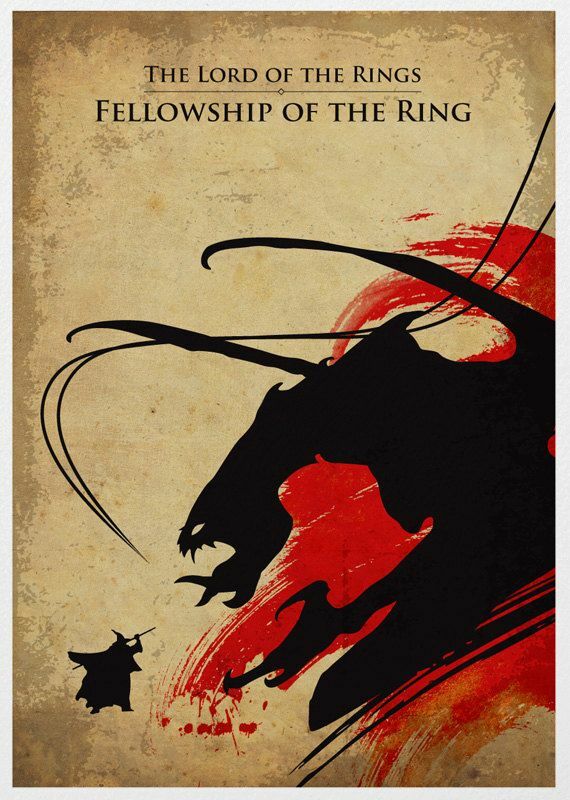 Eventually, they all meet in one place and then, comes the signature of LOTR, a big war! 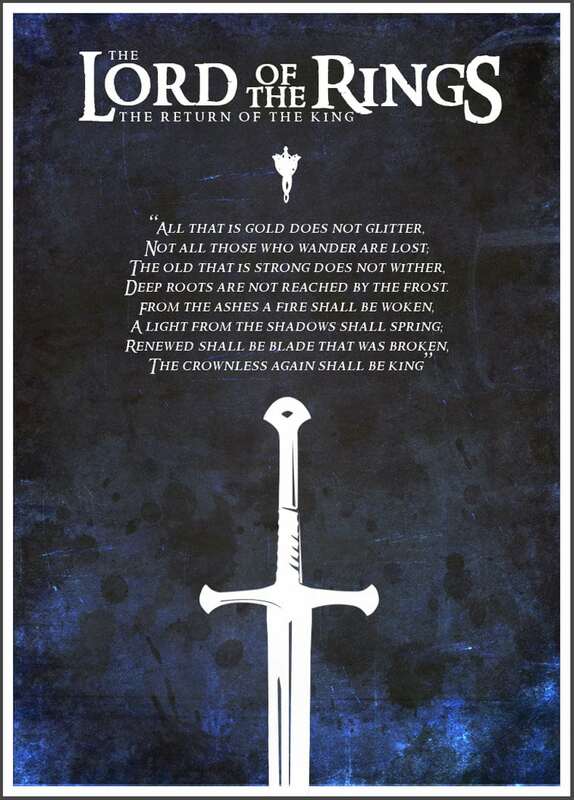 Keep reading to enjoy more posters because “This Is The Begining Of The End”! 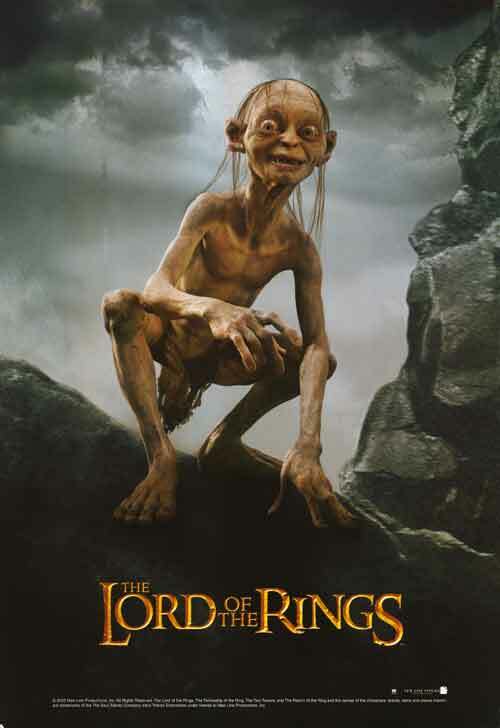 Though Gollum was introduced in “The Two Towers”, he already appeared in the first part. Gollum got his name for its disgusting gurgling voice. He followed Frodo and Sam, but only to take back his “precious”. 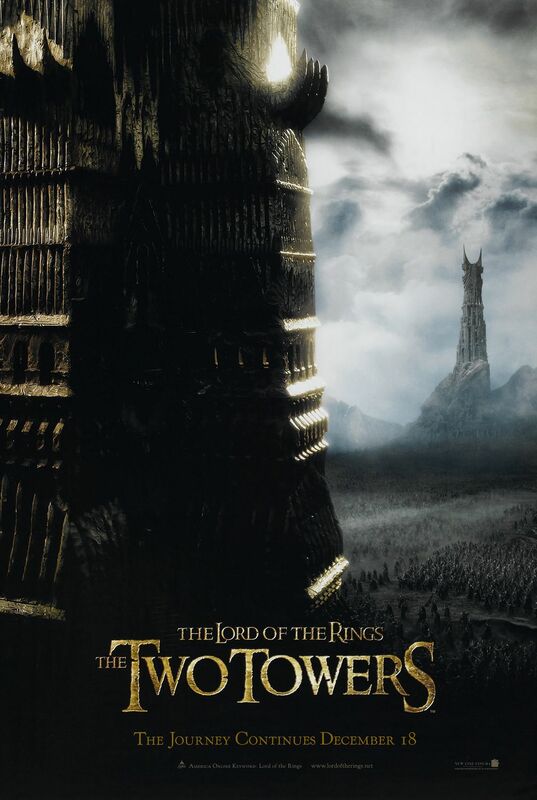 All of the heroes worked hard to reach the towers and save people of Rohan from the Saruman, Sauron’s puppet, as he unleashes his armies from Isenberg. 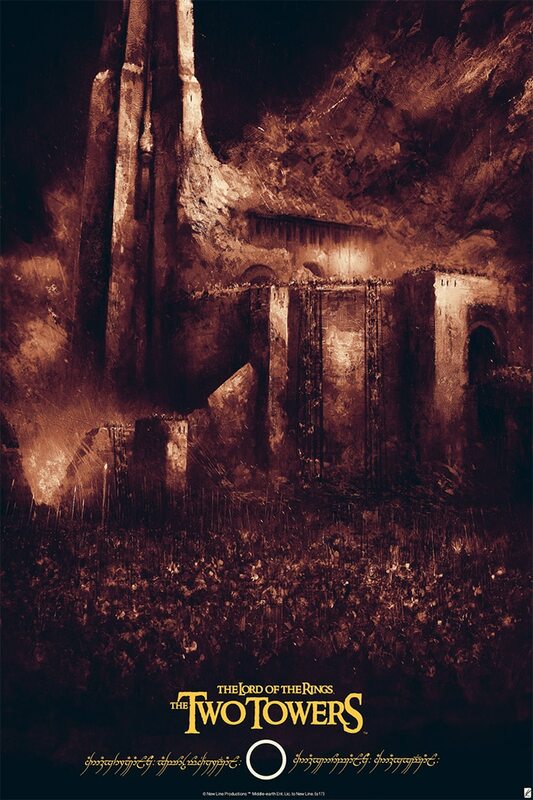 While all the heroes try to save the people of Rohan from Saruman, Sauron was planning to attack Gondor, and that’s when the real war starts. 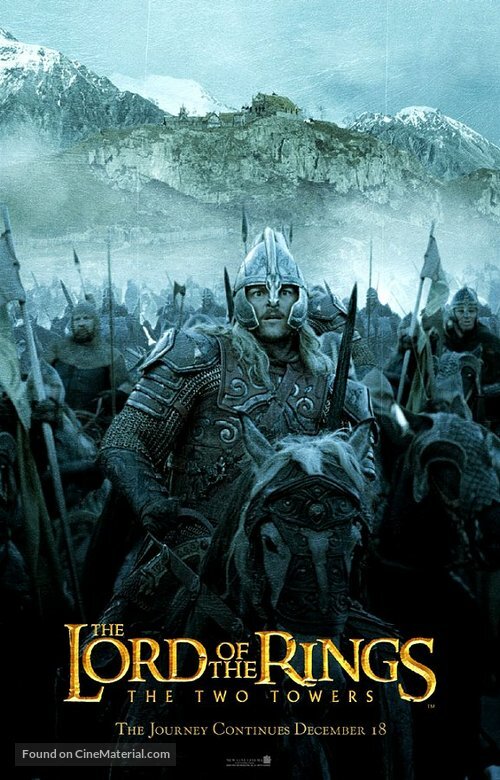 While the war was focused just to attack Gondor, a number of new allies join with Aragon, Gimli, Legolas, Pippins and Merry to protect the people, but no one knew what’s coming next. 11. 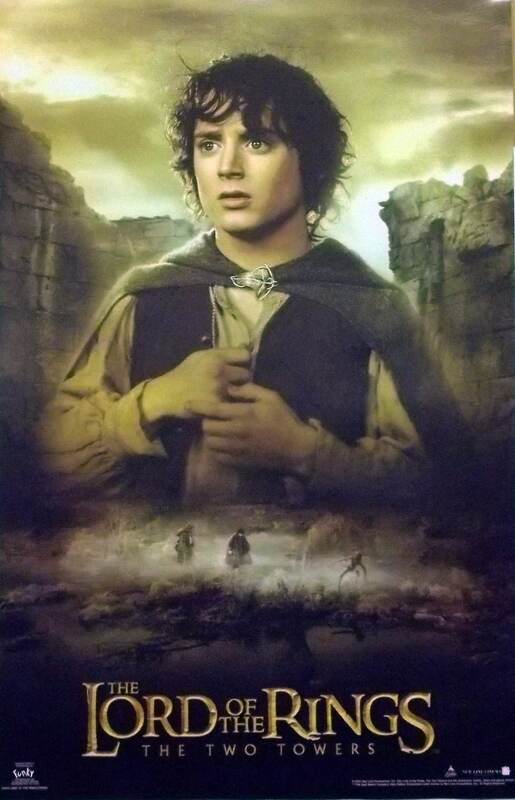 What Was Frodo Up To? 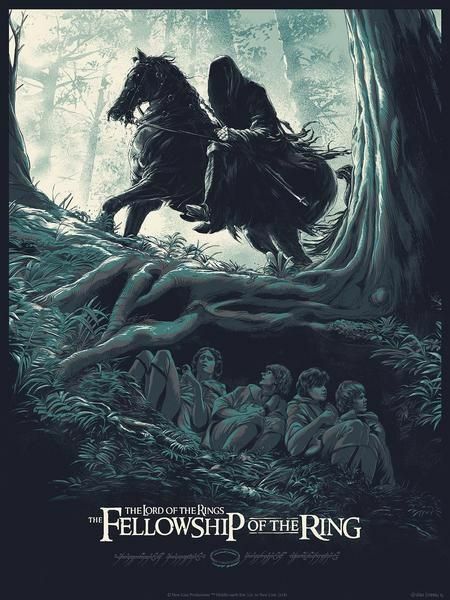 Boromir died in the first part, and Frodo and Sam were on their way to Mordor alone, to destroy the one ring. In their way, they find Gollum, who promised to guide them to Mordor. 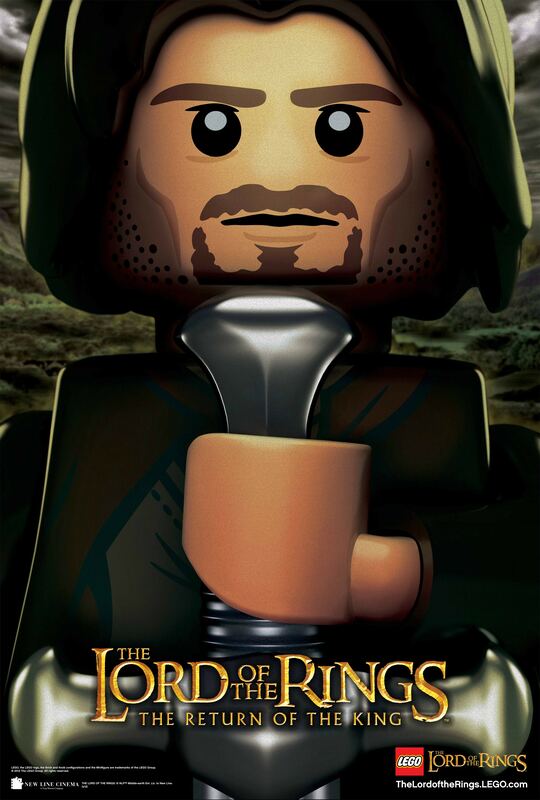 Rohan is a human race in Middle Earth. 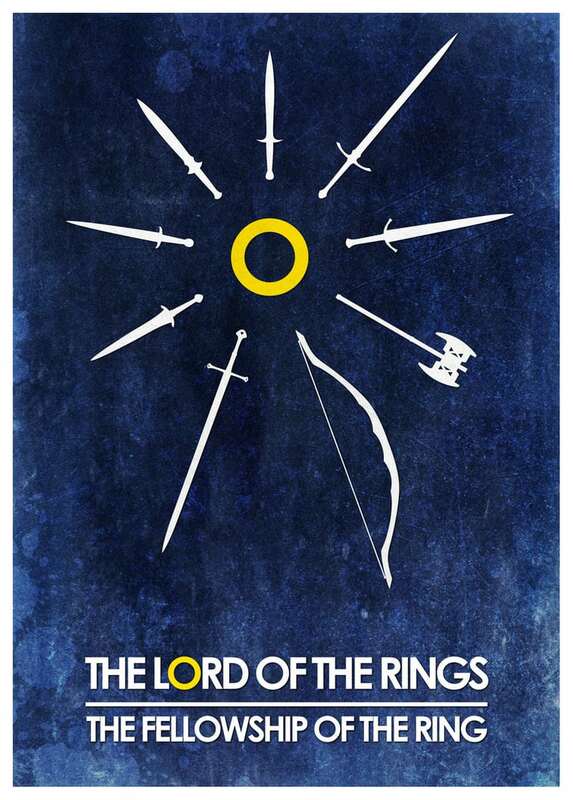 They are not capable of fighting the army of Saruman, so all the heroes of other races were trying to protect them. At first meet, Gollum attack both the guys to take his “Precious” back. 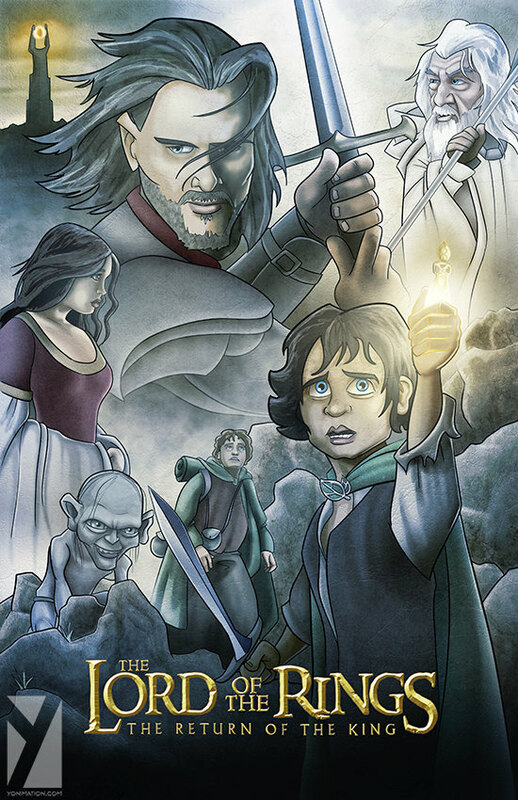 The boys bind him down, and Sam even suggested to kill him, but Frodo disagreed as they were in need of a guide. The movie consists of more than one wars. The most important one was the last one though, but there are many wars we will get to see in the movie. The first time I became a fan of Orlando Bloom was in Pirates Of The Carribean. 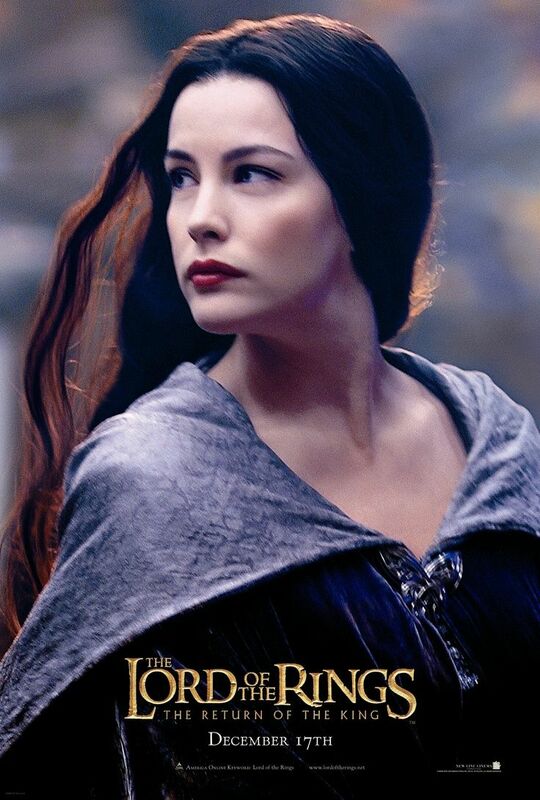 In LOTR, he was just an elf for me, but he was awesome, and I was a kid then, so, a character was just a character for me, not an actor (I hope that make sense). This part was released on 17 December 2003. The starting of the 21st century was great for the people with 3 masterpieces. This part was the cherry on a cake, as we save cherry to eat it, at last, they saved the best movie for the last (I know that was a very bad example). 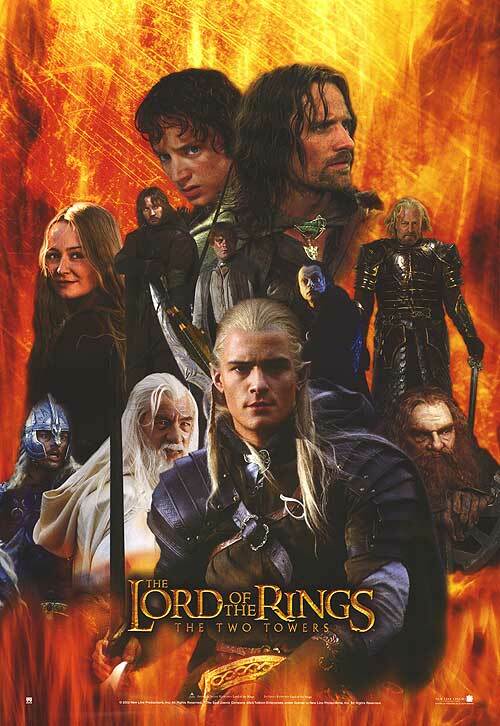 This was the second best movie of 2003 all around the world. The movie made more than a billion till now. And this was no surprise, as this was the second best movie of the year and all the people loved it. 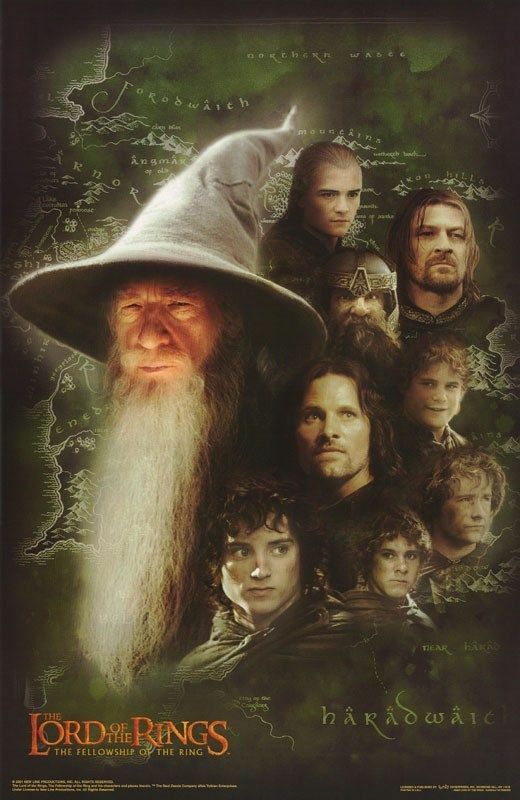 These guys are still on their way to Mordor, and Gollum is also with them, leading them to the path. Is the path right or wrong? Watch the movie for it (I know its so stupid to say that because we all know that he is showing them the wrong path, but I had to write something, so I did). This movie was so damn awesome, for its cool characters. 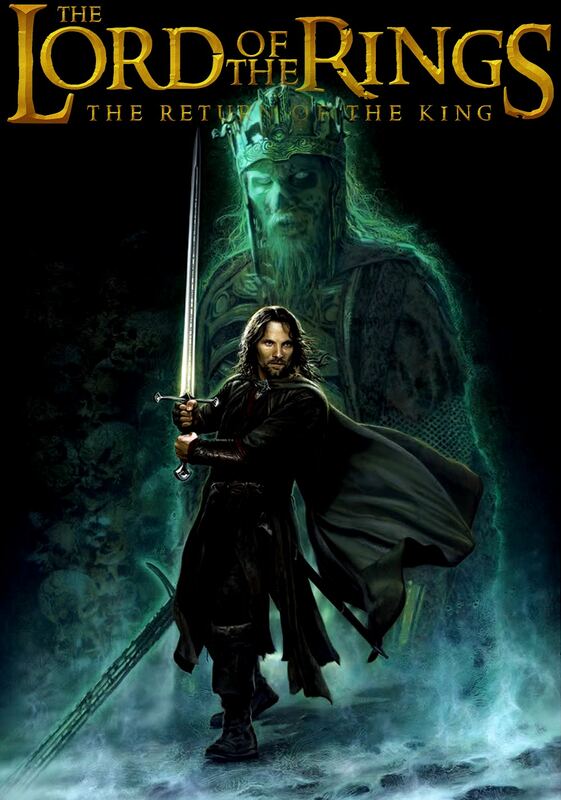 There will be so many new adventures, including ghost pirates who are called “The Army Of The Dead” (that was my favorite part, comment your one below). 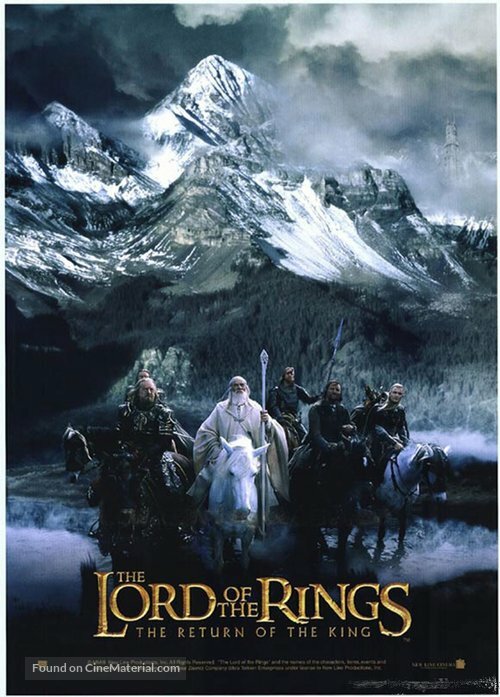 Gandalf goes to Minas Tirith to aid the humans in the war that is ahead. The movie got 11 Oscar awards, yes, I’m not mad, they actually won 11 Oscar Awards in 2004. Six of eleven awards were for its technical performance like editing, sound mixing, makeup, etc. because there is no doubt that their animation in the movie was superb. I think it could have won more, but their bag was full so they gave back the other awards. 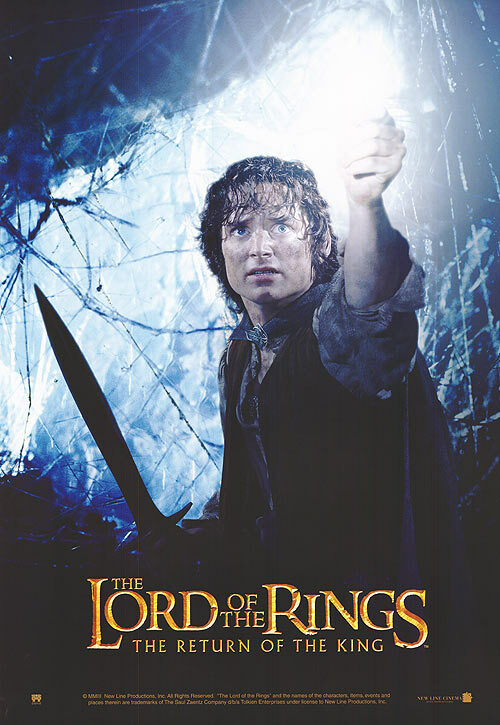 When Gollum betray them and take back its “precious”, they get attacked by a giant spider, leaving Frodo paralyzed. 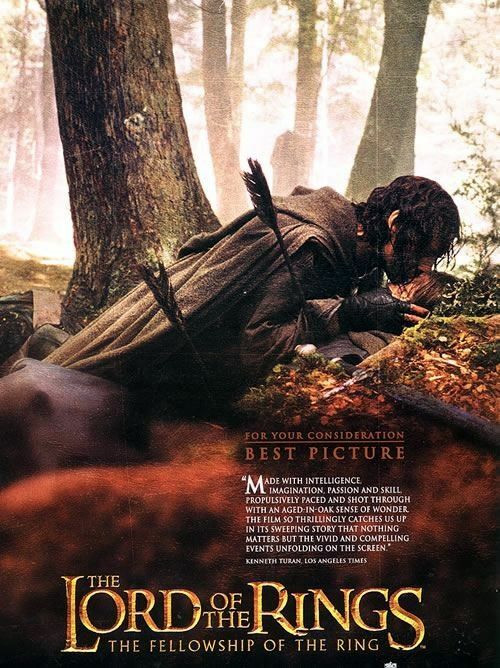 Sam then think that he has died, but later discover that he is just paralyzed. 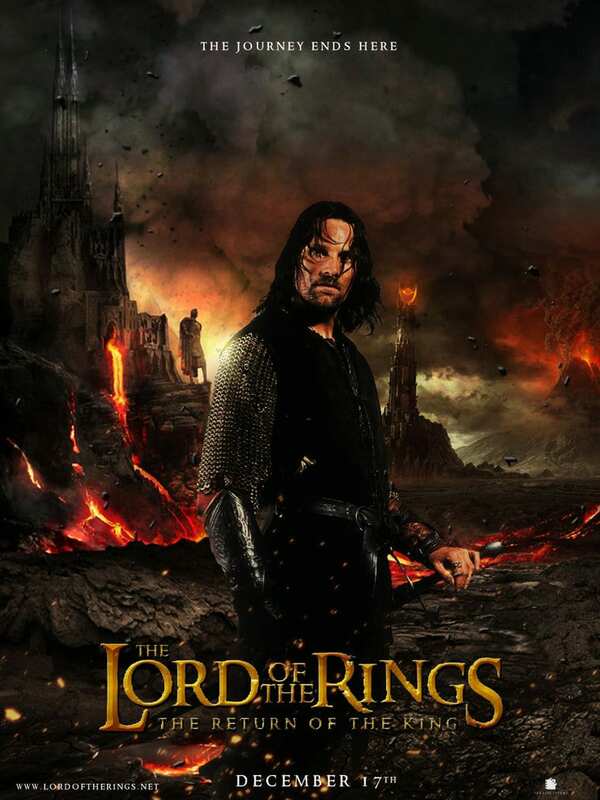 Aragorn is the main character of the movie. He is the king of Arnor. He is a great ranger and warrior (I don’t know what is the difference between them, but I read it somewhere, so it must be right) and, that’s all, he did nothing special, if he did, comment below. The adventurous journey ends in this part. 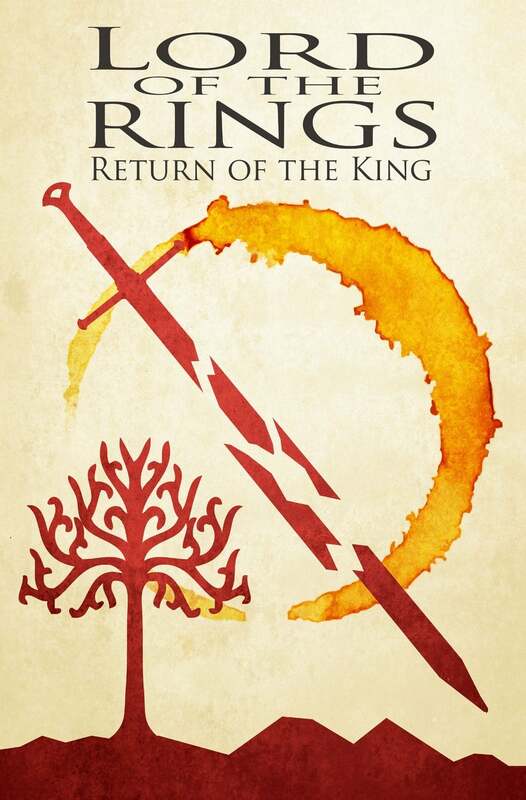 But don’t worry they will be back with their Rabbits… I mean, Hobbits. There are some girls too in the movie. Maybe not so “hot”, but the movie already consists of so much lava that we don’t need any heat anymore. The ring makes any person invisible, but that was not the intention of making that ring. It shifts the holder’s body from physical world to something called “Spirit World”. 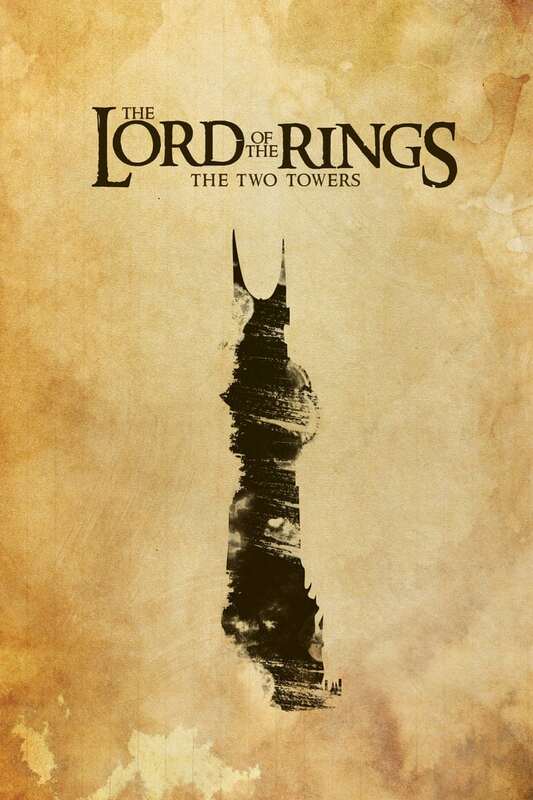 The ring was made by Sauron himself. 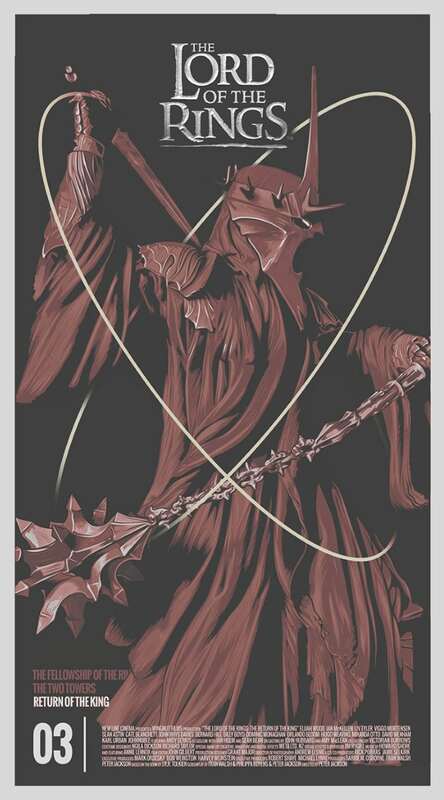 When Sauron wear the ring, he was not invisible because he was like Gandalf, an angel (Obviously not a good one) and inhabited both physical and spirit worlds, so he cannot be shifted to where he already was. 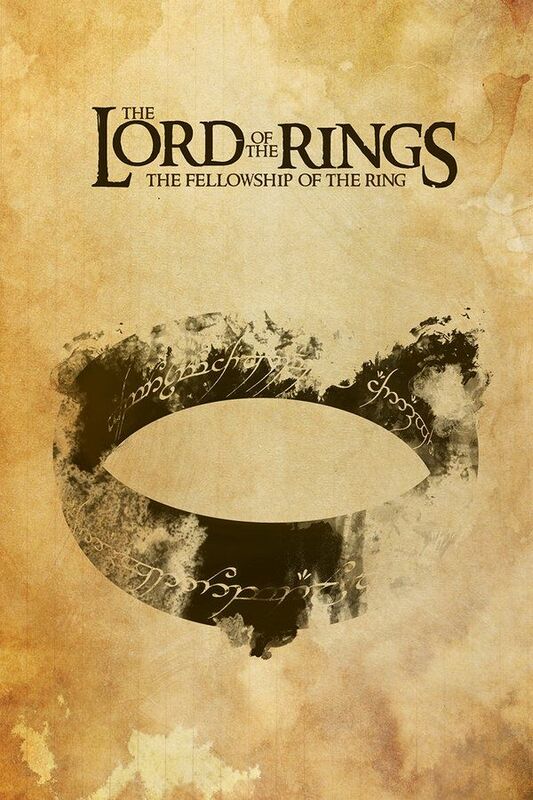 The invisibility power of the ring still works in the favor of Sauron as it gives people a reason to wear. 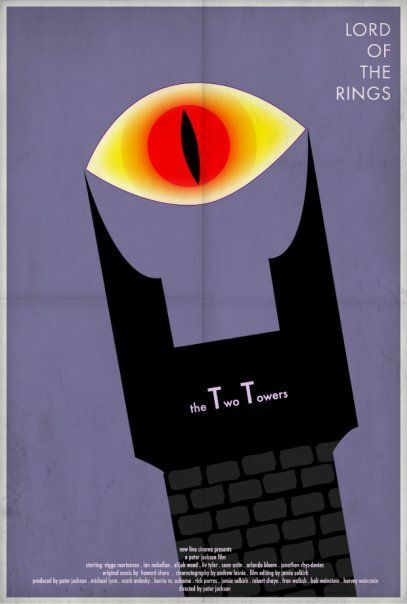 Wearing it would make anyone slave of Sauron. That’s why all the people who wore it, became addicted to it. 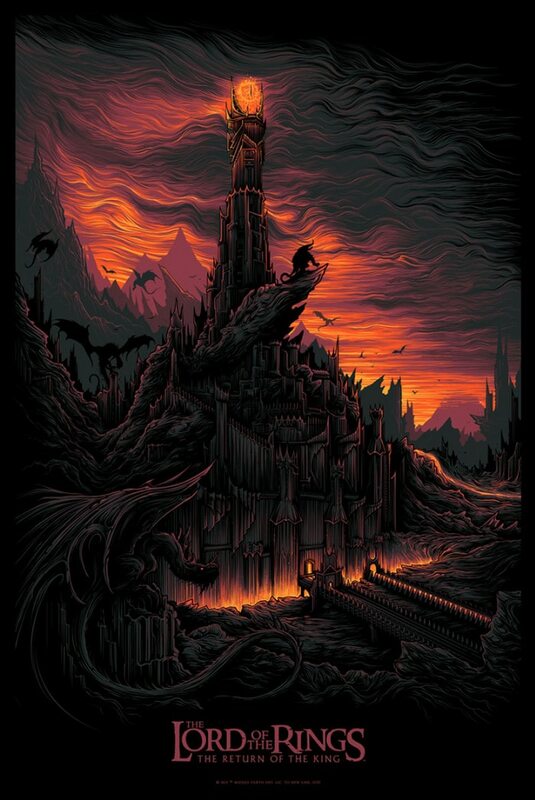 When Frodo throws the ring into lava, the Eye Of Sauron screamed and all the bad guys who were fighting with the heroes started running. That’s where it all ends. It was a great adventure until here. 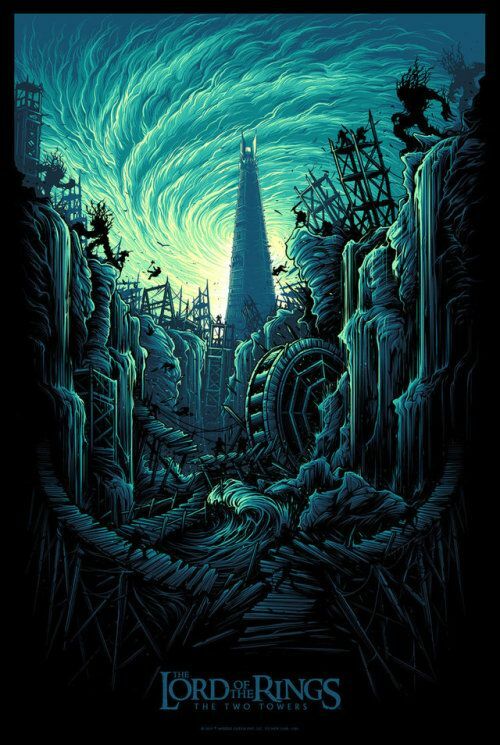 As you have survived this, we think you are the chosen one for this. So, here are some bonus posters for you. Enjoy “Ring-Fans”! 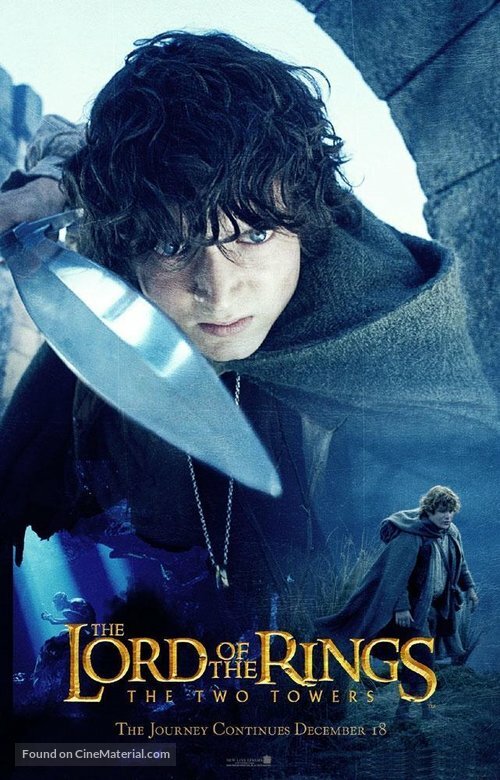 I would suggest watching “The Hobbit” movie series before watching this movie, as it is the prequel of LOTR, so by watching that first, you will get a better idea of whats going on in the movie. 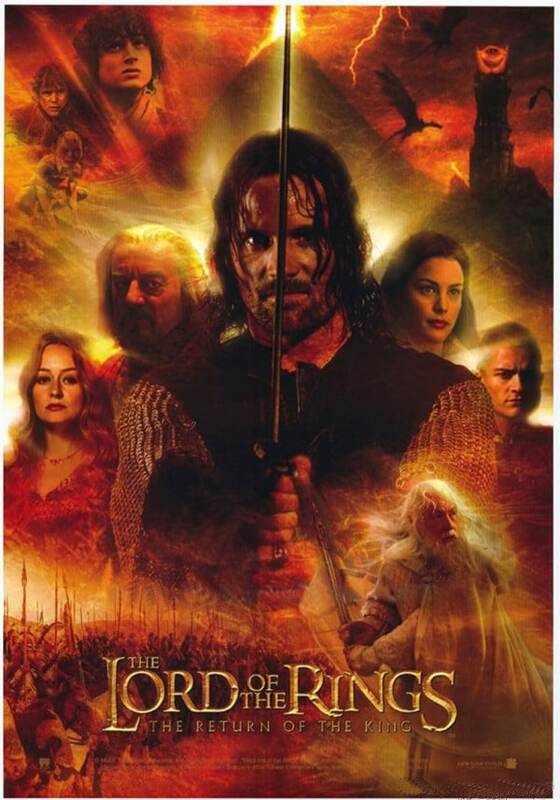 You can also watch the LOTR first, because if old guys can do it, why can’t we? 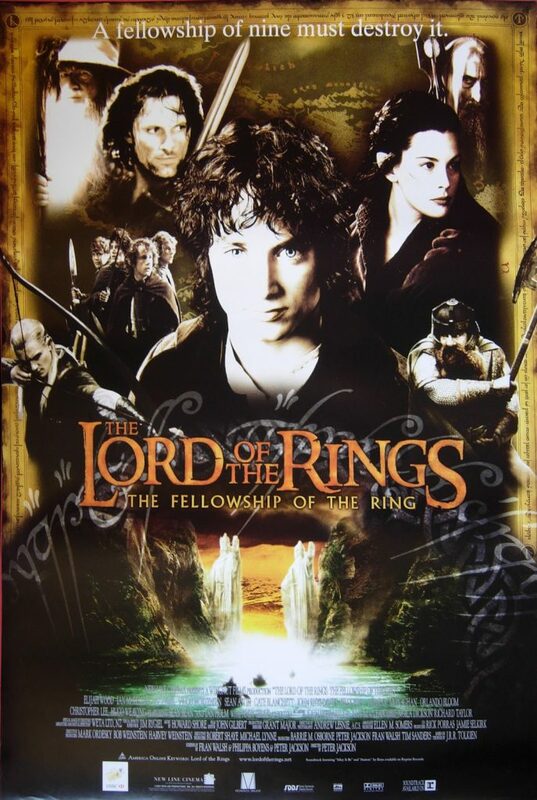 You can download free high-quality movie posters like The Lord Of The Rings Poster Collection because it’s so easy to save any poster, just right click on the image and click “save image”. That’s all! Share this post with the friend who is like “Sam” for you and don’t forget to bookmark this post because we keep bringing you posters of movies and series.